22 February 2017: A political prisoner at Evin prison serving a 15-year sentence, has urged the UN to question the Islamic Republic on the cases of her brother and sister who were secretly executed in 1988, according to the information received by Justice for Iran. 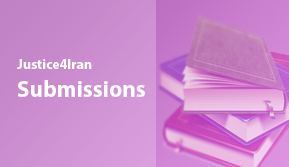 Maryam Akbari-Monfared filed a formal complaint to Iran’s Judiciary for an investigation into the extrajudicial executions of her siblings, Abdolreza and Roghieh Akbari-Monfared, in September 2016. Due to the lack of response by the Judiciary, the political prisoner decided to appeal to the UN Working Group on Enforced and Involuntary Disappearances. After careful deliberation, the UN Working Group will promptly decide on whether to hold the Islamic Republic accountable regarding the case of the Akbari-Monfared family. In 1980, Abdolreza Akbari-Monfared was arrested and sentenced to 3 years in prison for distributing the leaflets of the People’s Mojahedin of Iran (PMOI), an oppositional organization. Even though he over-served his sentence, the authorities refused to free him, and instead executed him in 1988. During the funeral ceremony of Maryam’s other sibling Alireza Akbari-Monfared, who was executed in September 1981, security forces attacked the organizers of the event, and arrested Maryam Akbari-Monfared’s sister, Roghieh, and their mother. Roghieh Akbari-Monfared, the mother of a toddler, was sentenced to 8 years in prison and eventually executed in 1988, a year before the end of her sentence. Roghieh and Alireza, the siblings of Maryam Akbari-Monfared, were amongst approximately 5000 political prisoners who, without a hearing, were secretly executed in the summer of 1988. JFI’s research has shown that many of the bodies were dumped in mass graves overnight without identification, an undoubtedly chilling sight. Many of these political prisoners had spent years in prison and rather astonishingly, some of them were not even freed at the end of their sentences. In her complaint to the Judiciary, Maryam Akbari-Monaferd demanded an impartial investigation into their cases and the details of their fate including those responsible for their deaths, and among other documents proof of official indictment. She also requested the exact location of the burials, a detail which has always been kept from the family. After the submission of this complaint, the Deputy Prosecutor only verbally revealed to the Akbari-Monfared family that those responsible for the death of the siblings are now either deceased or have grown old. Furthermore, the Prosecutor informed the family that the deceased members are likely to be buried in Khavaran, a piece of barren land South East of Tehran which is believed to be home to the largest mass grave in Iran. 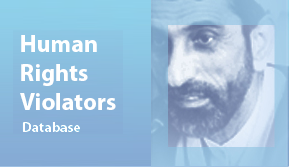 This was the first time that a formal complaint to the Judiciary of Iran about the murder of political prisoners in 1988 had been announced publicly. According to Amnesty International Urgent Action Appeal, Maryam Akbari-Monfared has been faced with reprisals after filing the complaint. An official at Evin prison informed the family that her medical treatments have stopped as a result of her “brazen” tendencies. Due to severe arthritis and thyroid problems, Maryam Akbari-Monfared had been receiving medical attention on a weekly basis, a right which she is no longer granted. Moreover, the Akbari-Monfared family has been faced with threats including the denial of visitation rights and new allegations against Maryam. Maryam Akbari-Monfared’s sister and three brothers were executed in the 1980s for supporting the Mojahedin. Following the 2009 Ashura Day protest, Maryam was arrested and charged as a result of her alleged membership to PMOI, an accusation which she has repeatedly denied. 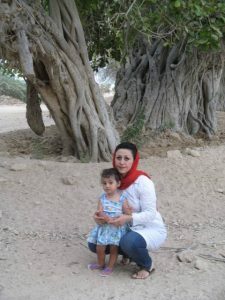 In April 2010 Maryam was sentenced to 15 year’s imprisonment by Abolghassem Salavati, the head of Branch 15 of the Islamic Revolutionary Court. During the course of the hearing, Judge Salavati addressed Maryam in relation to her sibling’s charges, stating, “You are paying for your sister and brothers”.